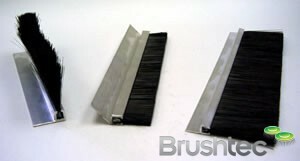 The strip brushes available from Brushtec are designed for sliding doors and for sealing passages against dust, draughts, water and much more. Our strip brushes come in various designs in order to suit as many applications as possible. We try to give customers as much control as possible over their purchase. 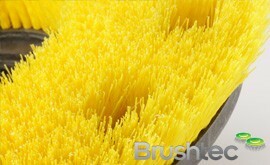 Therefore, you may specify your strip brushes’ size, diameter, length, brush material and holder material. 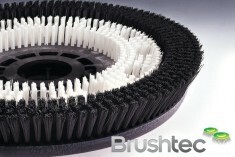 We even offer special strip brushes which come in cup or ring shapes, and can produce more complex shapes upon request. The brush strip holders can be wood, aluminium, Stainless steel or Galvanised steel, We can form them into internal and external circles as well as perimeter unit for curved doors etc. Special versions of bristle strips bent in cup or ring shape can be manufactured without problems. 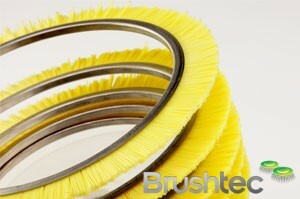 Cup-shaped strip- and sealing brushes are commonly used as a vacuum dusting brush. Although we have only showed the most common shapes here we also produce complex special versions on request. 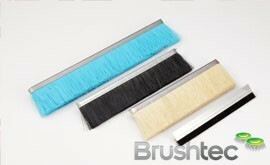 Contact us today if you require your strip brushes in a unique shape. You might also be interested in our squeegees and our huge selection of side brushes.